I wanted to write this post because one of the questions I get e-mailed about the most is…what did you do when you finished the 24 Day Challenge? When I answer this question I normally start by asking what the person’s goals are now that they have kick started their weight loss. Do they want to lose more weight, more inches, gain muscle, increase their endurance, see more muscle definition….it’s usually the answer “D, all the above”. While I can never claim to know all the right answers regarding health and fitness (after all this is all still so new to me and I am very much a work in progress), I can only share what I have been doing and what I think has been contributing to the results I have had so far. 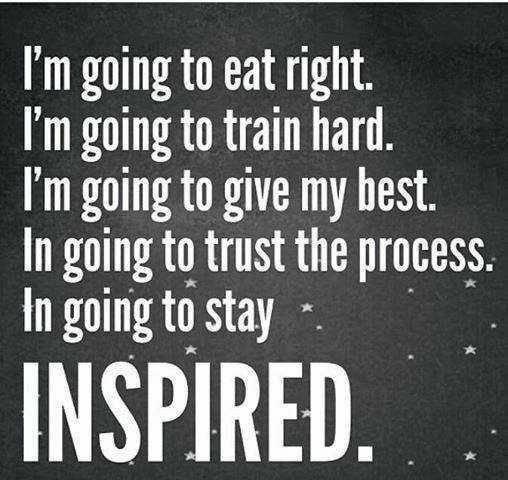 To those of you who are reading this and have completed a challenge or are nearing the end of one…I think my best advice is to first talk to your “coach” in Advocare. Don’t have one? Just send me an e-mail and I will gladly help you take on day 25 and beyond. Accountability, support, motivation, encouragement…they are the most important ingredients when it comes to continued success. Going at this alone is so hard! I take in daily inspiration from those around me and would be lost without it. Next…keep on going. You know that Max Phase you just did for 14 days? You can do that FOREVER if you want to! Energy for days, the best core nutrition, a great and healthy eating schedule, metabolism boosting…there is no need to have that end. Keep at those MNS packets, drink your Spark, and we all know Catalyst is your best friend. There is no reason you have to say goodbye to these products. Do you have to be as strict at your clean eating as you have been for the past 24 days? Heck no! You better believe I dive head first into a big goblet (not glass, goblet) of Merlot as soon as I am done a challenge. I truly believe if you can hold yourself to an 80/20 rule of clean eating you will continue to see incredible results. What that looks like for me is eating clean throughout the week and then giving myself leeway on the weekends. This should never feel like you are depriving yourself of some of your favorite things. That is the main difference between a diet and a lifestyle change. Be easy on yourself and be confident that you are now a clean eating pro and you have all the tools you need to always get yourself right back on track. The next part of the equation looks different for everyone, and that is…exercise!! I understand not everyone has the time, desire, or even the ability to spend hours at the gym. However, it is important to get yourself moving’ and shakin’ somehow throughout the day. Set a daily step goal for yourself, get in a walk after work, try a class at the gym you have always had your eye on, try out yoga or running…you may surprise yourself that with your new weight loss has also come a new confidence when it comes to what you are capable of. That is the second most common question I get….what do you do for exercise and how often? When I first started this I took the advice above and did anything just to get me moving. I did 20 min when I could on the elliptical, I tried out the couch to 5k app and gave running a go, I would try to do one class every week at the gym. Over the course of a few months I started to increase what I was doing. Currently a good week for me would consist of 4-5 days of morning bootcamp, 1 day of a cardio kickboxing class, and either a rest day or a run (depending on how many bootcamp days I did). I have learned that WEIGHT TRAINING is making all the difference for me. Ladies…do not fear weights!! Lift often and lift heavy and watch what happens. This is where my focus will be this year and I am excited to share with you what increased weight training has (hopefully) done for me. 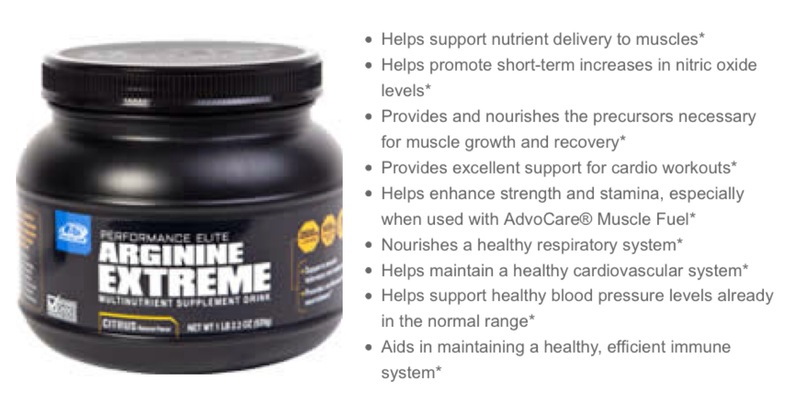 And last but certainly not least is supplementation. Everyone has different views on taking supplements, what to take, when to take them, or if they should even be taken at all. I know that since I have started using Advocare’s Performance Elite line everything has changed for me. I feel better, I feel stronger, my endurance has increased and my muscles are building. I am still in the process of trying to new things and seeing what I react best to but these have been my go to products that I will continue with. 3/4 scoop of Spark + 1 scoop of Arginine Extreme. Shake in a blender bottle with about 12 oz of water. Drink about 45 minutes to an hour before my run and I take two o2 Gold pills and two Catalyst capsules. 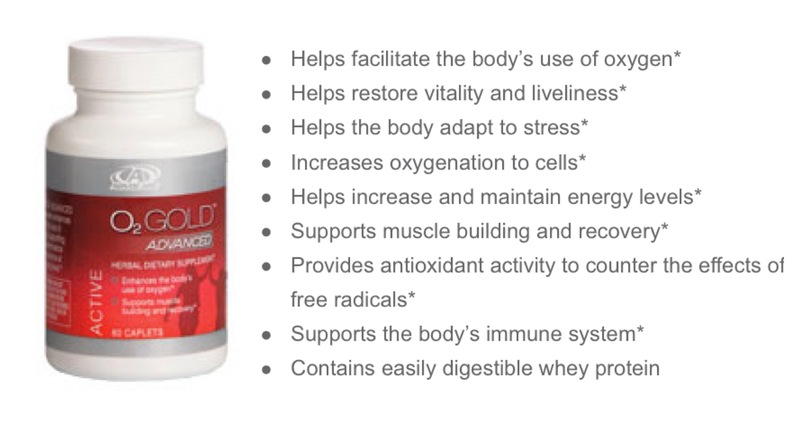 This combination makes my lungs feel more open, I can take deeper breaths, I feel energized and my strength and stamina definitely feel increased compared to the days I have forgotten to take my products. If I am on a long run you will find one of my hydration belt bottles filled with Rehydrate and the other with water. If I was just doing cardio I will drink Rehydrate when I get home. Best electrolyte replacement drink out there…I literally feel a surge of energy when I drink it on my distance runs. I get dehydrated really quickly and am a salty sweater so this product is a life-saver for me. 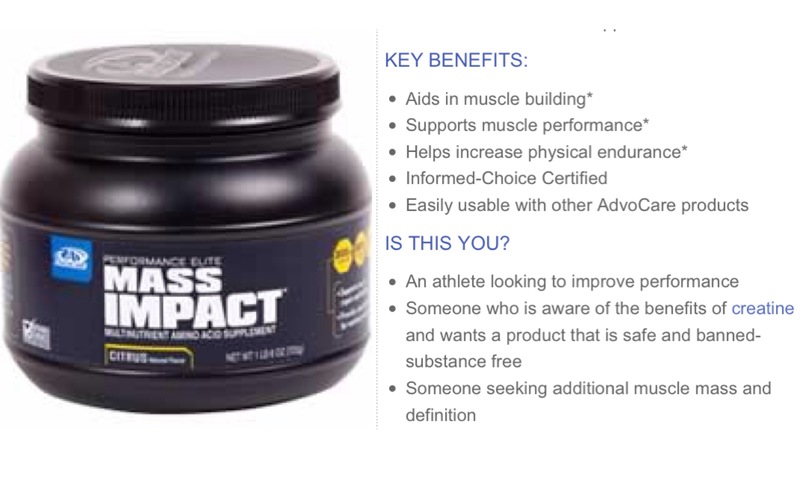 On bootcamp mornings (weight training days) I mix up a scoop of Spark and 3/4 scoop of Mass Impact in a blender bottle with about 12-14 oz of water. With it I will take 2-3 Catalyst. I try to drink as much as I can before I head to bootcamp but since it’s so early in the morning I tend to drink this during class as well. When I get home from bootcamp I mix up a Muscle Gain protein shake and honestly I drink it in the shower haha. This way I get that protein in me within 30 minutes of my workout and get my shower in there too. Us busy mamas need to find any way we can to multi-task (and to take a shower…which is a luxury most days). 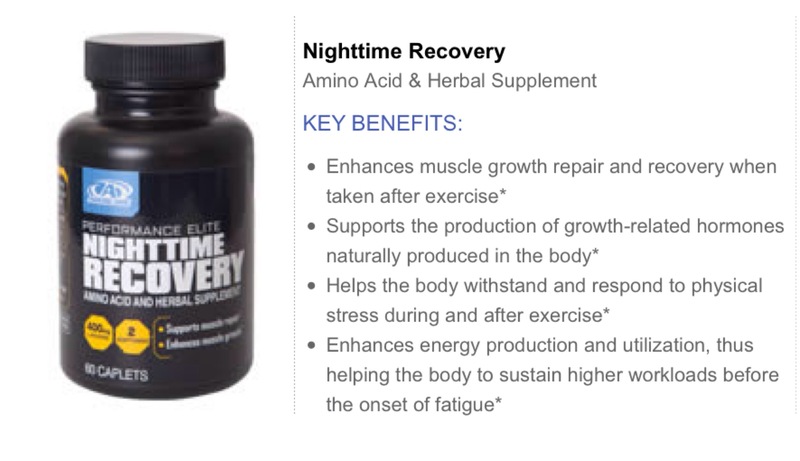 I think I have been sore for 7 months straight since starting bootcamp and then I met my friend Nighttime Recovery. Pop two of these before bedtime when you already are feeling that ache in your body and not only will you wake up feeling awesome and way less sore, but it’s pretty exciting to know you were working on your muscle tone while you were sleeping. Easiest workout out there! So that is my experience thus far with the Performance Elite line. 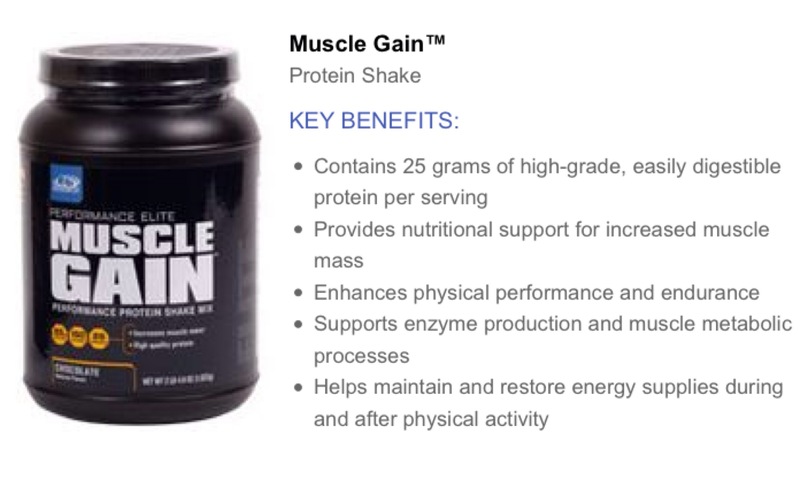 I am going to look into Muscle Strength and Post Workout Recovery as well. I have heard great things about both and if I am already loving what I have already tried, I can only imagine how great these will be added in as well. I just came across these photos on my phone. The left side is from May after I lost about 25 lbs after starting my first 24 Day Challenge. The right side was from last month. The crazy part is I weigh the same in both photographs. I often tell people that the scale doesn’t tell the story of the transformations you are making, and I think this is all the proof I needed to show myself that this couldn’t be more true. I really hope some of you have found this post helpful. I was on my own when I did my first challenge and for the months that followed it. It was a lot of experimenting and finding out what I thought worked best for me. When I look back I really wish I had some guidance and someone to keep me accountable and just tell me what to do next. If someone says DO THIS and shows me how it’s worked for them….I am on it!! I don’t want any of you to stop at day 25 and find yourself searching for answers, and the worst case scenario, giving up because you felt lost. Please reach out to me if you find yourself in this spot and I will offer you support the best way I can. I have a Facebook group filled with 600 amazing and inspiring people who would love to help you reach your goals, but my favorite part is that individual connection I have with many of you so please don’t ever hesitate to say hello! You’ve totally got this!! Such a great post Lauren!! Thanks so much for sharing!! This is such a helpful post!!! I just became a distributor yesterday and this will help me decide what all to try! I’m almost done with my first 24 Day Challenge and am LOVING it!!! 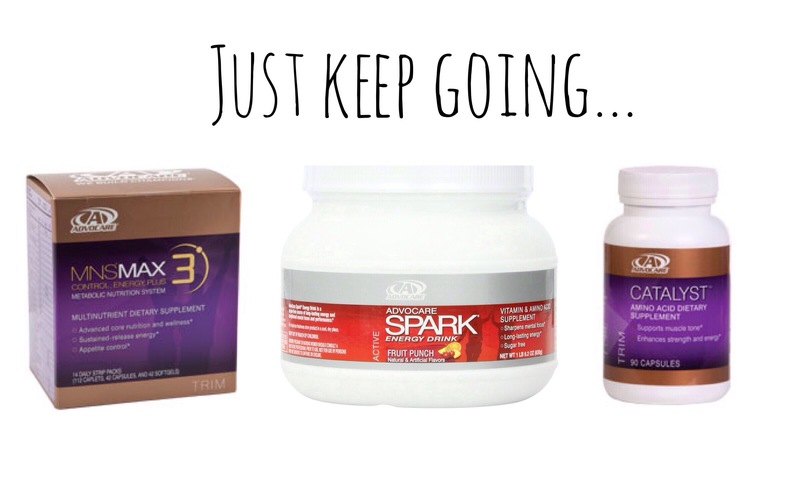 I can’t wait to continue on my weight loss journey with Advocare! Awesome Alex!! Love having you in the group! So glad you decided to be a distributor too and can’t wait to hear about how you do on day 25 and beyond. Keep up the great work! Thank you so much for your encouraging words Christina! Love this post! Thank you so much for sharing all of this! It’s so helpful! Hot mama! You are very welcome Lindsay! You are an Advopro and are totally hot mama status over there!! Awesome job! This is Awesome and so helpful! I already love the products from the 24 day challenge and will have to try the ones you mentioned. Thanks for sharing! You are so welcome Kay. I am glad you found this helpful! This post is fabulous! 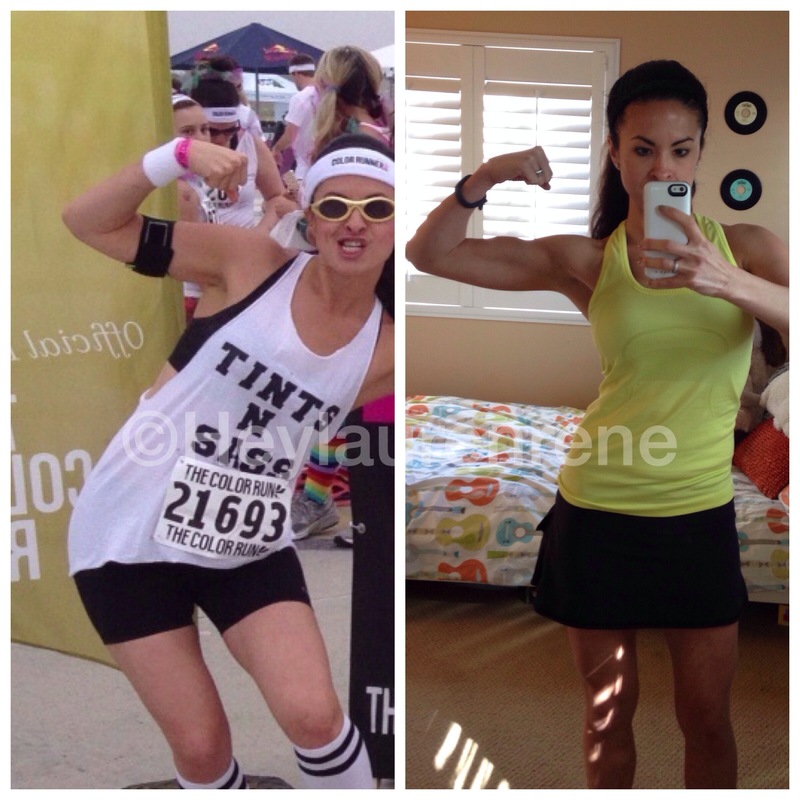 I am starting my first 24-day challenge on Friday & my biggest concern is what happens after! Thanks! So glad I found your site. You are an inspiration! My husband and I are on day 20 of the challenge. He’s down 12 pounds and feeling and looking good. I’ve been a little discouraged as I’m only down 4 pounds but what you said about the scale not telling the story of your transformation is very true. I’ve been eating right and increased my workouts and weight training. So I’m hoping that my after pictures show more of what my transformation is about more so than the scale. And I know that this challenge is only the beginning for my husband and I.
I love reading this Meaghan! Congrats to you both for committing to the challenge…it will for sure set you up for lifelong changes and continued results! Definitely don’t let the scale have the final say in this! Keep up the great work! I would love to hear your response to this. Also wondering what your opinion is on Crace Check and Carb Ease. I love your blog. Everything you talk about is explained very well and very clearly. You have answered a lot of my questions that I have been seeking answers for but couldn’t seem to get them. I am a new advisor with AdvoCare and still working on losing weight. I want to have a toned, defined build but didnt know if I should start Performance ELite products and weight training now or wait until I have lost most of the weight I want to lose. I still have about 40 more pounds to go. What is your opinion on that? Hi I’m so happy I came across your blog via Pinterest. I just finished my first 24DC ( then went on vacation & may have enjoyed a little too much of wine/food) and I’m ready to get back on track. I don’t have an advocare coach so I was hoping you would be able to help me with the post 24 days. I would like to lose another 10lbs (not necessarily interested in gaining muscle but would to slim down a bit). I am so sorry I am just seeing this comment. I have stopped getting blog comment notifications for some reasons and have like 20 comments sitting here I never saw!! If you still need some help please e-mail me at heylaurenrene@gmail.com and I will be so happy to coach you from here on out. Thanks so much! Hi there, I came acrossed your post and it was a great read. I am currently on day 5 of the challenge and I’m already looking towards day 25+! Would you only recommend i continue with the MNS packets, spark and catalyst? I want to make sure I have everything I need for the days to come. Thanks in advance! WHAT MNS DO YOU RECOMMEND CONTINUING WITH? I TOOK THE “E” DURING THE CHALLENGE AND NOTICED A BOOST IN MY ENERGY LEVELS FOR SURE. I’VE HEARD A FEW OTHERS RECOMMEND THE MNS 3 THOUGH AND WAS CURIOUS IF YOU HAD AN OPINION. SUCH AN INSPIRATION! THANKS FOR ALL YOUR POSTS! I was wondering if you could help me. I recently finished a SUCCESSFUL 24 Day Challenge. I have now begun to weight train and LOVE it. I have continued all but the cleanse, of course, and have added several other products, i.e., FiboTrim, LeptiLean, ThermoPlus, Carb-ease, Mass Impact, Arginine Extreme, BioCharge…My question is, WHAT SHOULD I BE TAKING??? I feel as though Im constantly popping vitamins…LOTS of vitamins. Am I taking too much and should I eliminate anything. My goal, as of now, is to trim down some more and tone/build muscle. I go to the gym 5-6 days a week and hit the cardio hard. Any info or help that you can give me would be much appreciated. You and your journey have been my inspiration! Melanie- I can’t believe I am just now responding to this…I have completely neglected this poor blog of mine. I am still very active in helping people with AdvoCare though (probably why my blog is so silent) so please e-mail me heylaurenrene@gmail.com if you still need some guidance. Thanks so much! How long did it take you to lose the 25 pounds? Thank you for writing this helpful post!! Hi Jessica-I am so sorry I am just now seeing your comment. I lost 10 lbs on the 24 Day Challenge and went on to lose an additional 20 lbs in the next 3 months. Glad you enjoyed the post! Hi Lauren! I just came across your site via Pinterest and enjoyed reading thru your journey. IIdid the herbal cleanse at the beginning of this year, but now embarking on the 24 day challenge with a friend. I do not have a coach and wondered if we could communicate for inspiration on this challenge. Hi Cynthia- I am so sorry I am just now seeing your comment, my poor neglected blog I apologize. 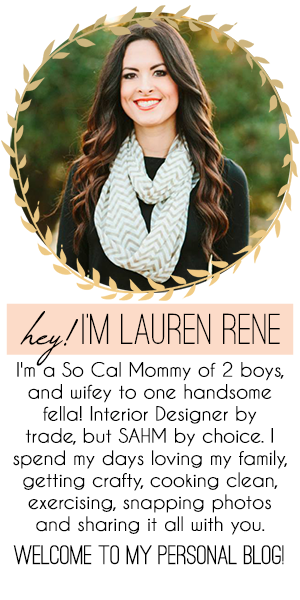 If you are still looking for some help please e-mail me at heylaurenrene@gmail.com. Thanks so much! Amazing blog!!!! Thank you so much!!!! How can we find/join your facebook page for advocare tips/recipes, etc.? Ive got a great coach and just on day 9 (down 8lbs but love your tip not to weigh yourself except day 11 and day 25 or 26). I do need to back away from the scale, am a little obsessed. Honestly Lauren, I was a little discouraged before finding your webpage. I’m on day 12 of the 24 challenge, and though I’ve stuck to the plan 100% I’ve only lost 5 lbs. However, I’ve also lost over 5 inches. After reading your articles, encouragements and testimonials, I’minspired and excited to continue the course, and beyond. This was so motivating to me. I am 34 year old wife, mom, and employee of 2 jobs. I currently weigh 247 pounds. I am 5’7 and am overwhelmed with this roller coaster of attemptingto lose weight. I truly needed this confirmation that I can do this. My dream is to weigh 165 pounds one day. I want to do this for myself as it will make me better for my family. I appreciate your help with this and look forward to purchasing my starter 24 day Challenge bundle.